In grade school, Will found a 35mm, Pentax K1000 lying on the shelf of his brother’s room. Experimenting with its manual-focus 50mm lens, manual aperture, and manual shutter speed gave him the foundation to understand photography. During the course of his adolescence, he experimented with seeing pictures in his mind and recreating them on film. 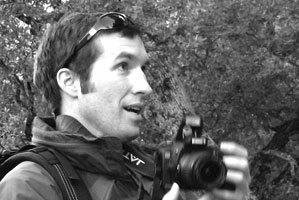 In 1994, he decided to become a professional photographer, and share his ECOlogical perSPECTIVE with others. Will Forney lives in Portland, Oregon with his wife and their two children. He is an environmental research scientist and is currently pursuing his doctorate in global change and watershed biogeochemistry.